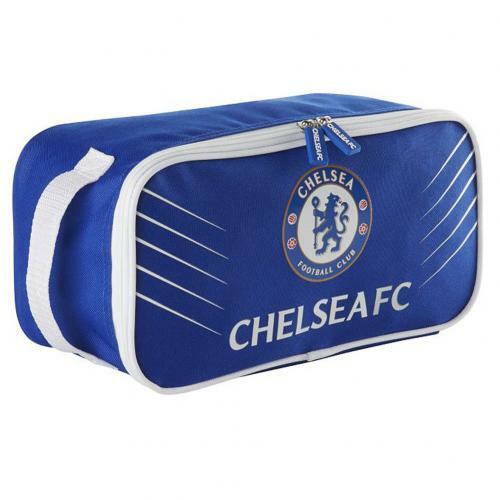 Keep those precious football boots in pristine condition in this handy Premier League football team boot bag. A traditional nylon Chelsea FC boot bag in club colours and featuring the club crest - perfect for transporting muddy boots. * Approx 31 cm x 16 cm x 13 cm in size. All of our products are officially licensed by Chelsea FC which guarantees authenticity and quality and we ship everything FREE OF CHARGE within the UK so the price you see is the price you pay.